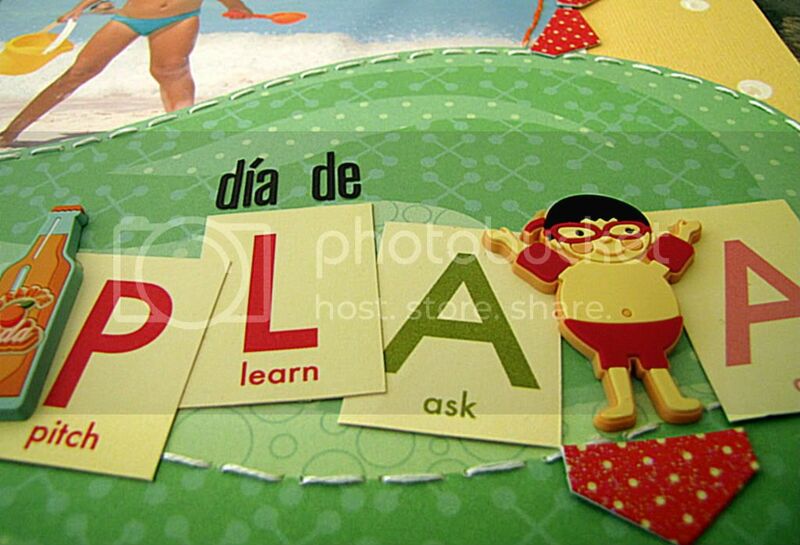 SCRAPPING NOMAD: Dia de Playa! Party Pics and some news! I haven´t posted anything for a few days because of a huge mistake I made: I spilled coffee on my laptop!!!!!!!!!! I then had to leave it to dry for a few days, and while we waited, we went to the eastern side of the island to see a miracle: the leatherback turtle hatchlings being born!!! This was the first one we saw: I almost cried! And this is DD picking it up to take it to a tank with water. They keep them there and release them during the night, to maximise their chances of survival. And now, back to scrapping, but also by the sea! This is a pic of my daughter I absolutely love, so I´ve been saving it for some special papers. 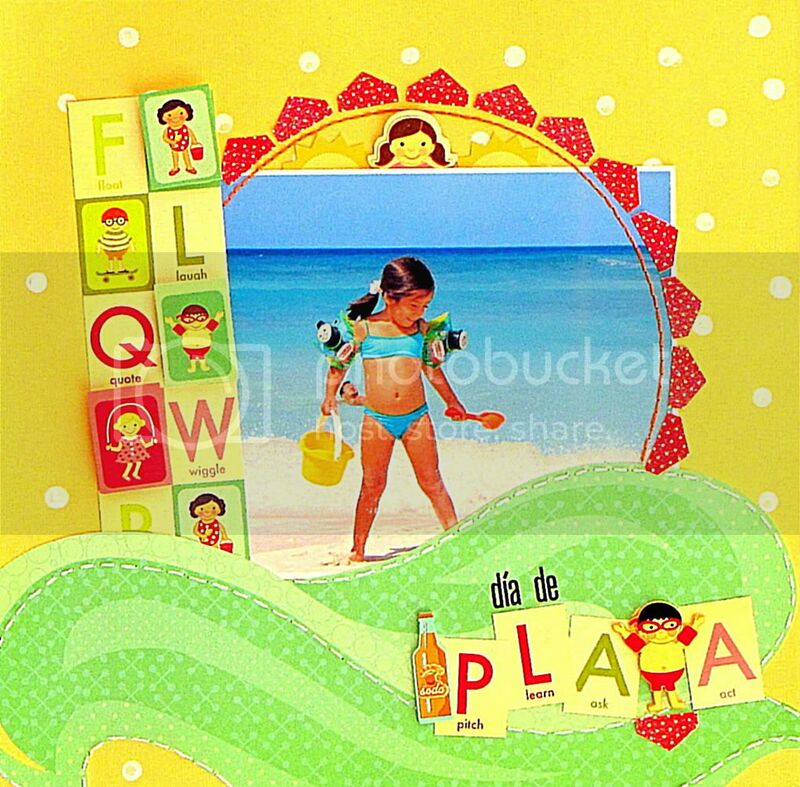 The Summer Fun collection by Pink Paislee is the kind of special paper I needed! The picture is not very good, unfortunately, as we are in the middle of the rainy season and it is hard to find a good chance to take a pic. I used stitching to give some texture to the waves and sun. And I used the rubber stickers, chipboard stickers, and paper embellies from the collection. Gorgeous! This LO is based on this week´s sketch at Let´s Scrap. you can still play until midnight, or visit the site tomorrow for a fantastic card sketch! Acrylic paint: from my daughter´s stash! Love the colors on this one Carolina! Such a sweet little girl you've got there too! This is so much fun, Carolina. Love your stitching and the entire LO is so perfect for this wonderful photo. How exciting to help the leatherback's as they're hatching. What fabulous memories for your daughter to grow up with! Completly In love with this LO, awesome Colors and love the title! !